Mixed Bathing - a thing of the future! 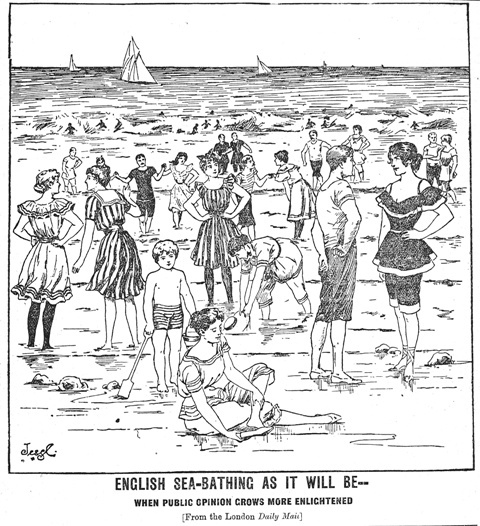 Sketch of mixed bathing, published in The Blackpool News & London Daily Mail, 1896. Mixed bathing in most resorts was still opposed by many people.